Hi! Worried that Mama had been abandoned? Fear not! But check the updates and see what's up. For those who are new, Mama is a shrine to Tsukino Ikuko. Ikuko-mama is Usagi's [from Sailormoon] mother, the lady with the pretty purple hair. If you're confused, don't worry. You'll learn! 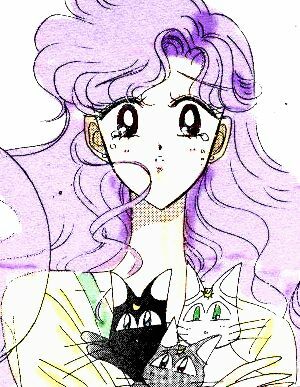 Tsukino Ikuko, Sailormoon, and all other characters are owned by a large number of people, in particular Takeuchi Naoko who created the series. I make no claims to the contrary, and this shrine is only to educate the masses. Please do not sue me, it would cost you far more than you would recieve. Thank you!